The Keswick Fair Trade Campaign are concerned about a recent development announced by Sainsbury’s which is the world’s largest retailer of Fairtrade products. 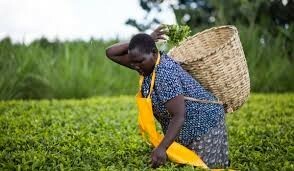 Four Sainsbury’s executives met farmers from some of Africa’s biggest tea-growing co-operatives in Nairobi last month. Fairtrade certification establishes strict rules to guarantee consumers that small-scale farmers are being rewarded with decent pay and conditions. The farmers were deeply shocked when they were told that the retailer planned to set up its own in-house certification scheme, set new ethical standards and introduce a different way to pay the groups. From next week Sainsbury’s will no longer label its Gold, Red and other bestselling own-brand teas as “Fairtrade” with the well known Fairtrade logo but will call them “fairly traded”. Officially it is a pilot but the suspicion is that Sainsbury’s will then roll out the new standard across other products including bananas and coffee. According to people at the meeting, the more the Sainsbury’s chiefs promised them contracts, advice and access to data, and told them the new in-house scheme would match their present income, the more worried they became. Their fears centred on the “social premium”, the money that Fairtrade provides to farmers on top of the guaranteed minimum price they get for their produce. This money goes straight to the farmers who agree to spend it on social schemes which they themselves choose and control. The premium money, it emerged at the meeting, was in future going to have to be approved by a new Sainsbury’s Foundation. Sainsbury’s apologised for giving the tea-growers such short notice of the changes it planned. But it has refused to consult further. The Fairtrade Foundation has been supportive of Cadbury/Mondelez which pulled out of the Fairtrade scheme last year and set up an in-house scheme; the Cocoa Life Programme. The Fairtrade Foundation worked with Mondelēz – Cadbury’s parent company – to make sure Fairtrade farmers have been properly consulted on the Cocoa Life Programme, and that they will receive at least the same value as they have under Fairtrade certification. As part of its development the Foundation was able to make sure farmers’ views were heard and they do fully support it. The Fairtrade Foundation’s name appears on the back of Cadbury packs. 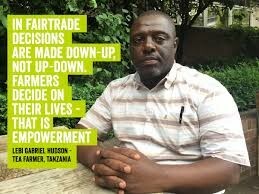 But the Foundation suspect that Sainsbury’s are trying to save costs in changing from Fairtrade to what may well be an inferior scheme where the standards are unclear, and farmers and producers may no longer be able to decide themselves directly how the money raised is spent to help their communities.